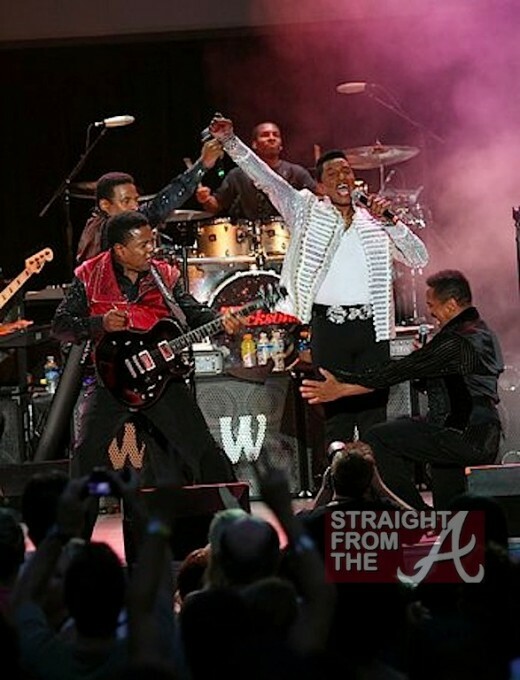 The Jacksons’ Unity 2012 tour came to Atlanta’s Chastain Park Amphitheatre last Sunday (July 8, 2012). 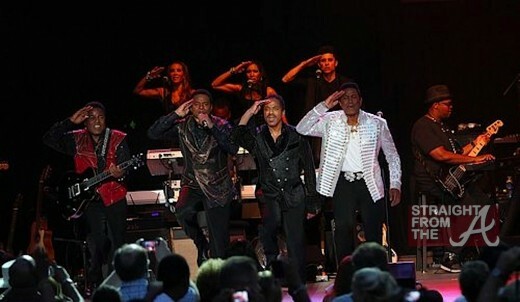 Tito, Jackie, Marlon and Jermaine all performed onstage together for the first time in nearly 30 years as they honored their brother Michael Jackson‘s legacy three years after his death . 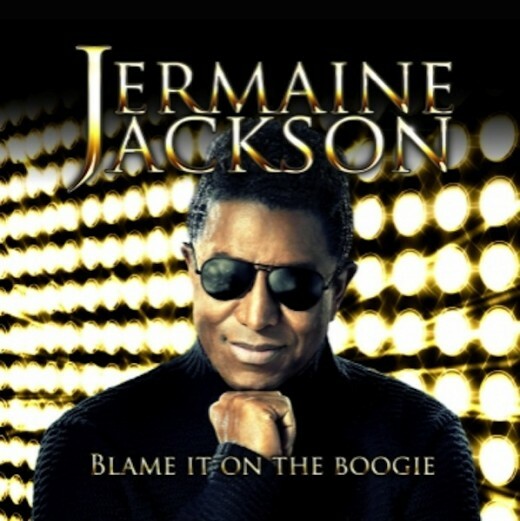 Jermaine Jackson has made his own solo version “Blame it on the Boogie,” a song originally made by The Jackson 5 back in 1978, and he’s now creating a video for his single. In sneak peek on-set footage, the brother of late King of Pop, Michael Jackson, is spotted rocking out to his version of the hit song. The former member of Jackson Five wears black shades, denims, a red shirt and an unbuttoned black tuxedo when shooting the video in Venice, CA. He breaks into a routine with a number of young male and female dancers.